Auckland, 22 April 2015 – CBRE welcomes James Lee as Director in the Capital Markets team leading the China Business Group. James is widely recognised as one of the leading commercial real estate agents in the Asian community in Auckland. 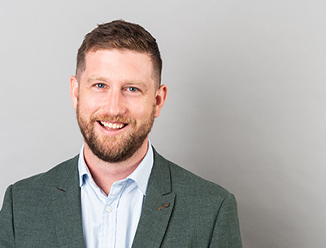 James adds a wealth of specialty experience to the Capital Markets team having worked in real estate for the past 16 years in a range of positions. He held several senior executive roles including his previous role of Head of Asian Investment for one of NAI Harcourts' offices and has been involved in over 500 sales and leasing transactions in Auckland. James’ strong knowledge and skills will complement the Capital Markets team’s offering and further engage the Asian community with CBRE New Zealand. CBRE Group has over 80 offices throughout the Asia Pacific region in 11 countries all partnering with our clients to help achieve their real estate requirements. With investment in New Zealand at an all time high, the opportunities that CBRE can offer our clients is second to none.